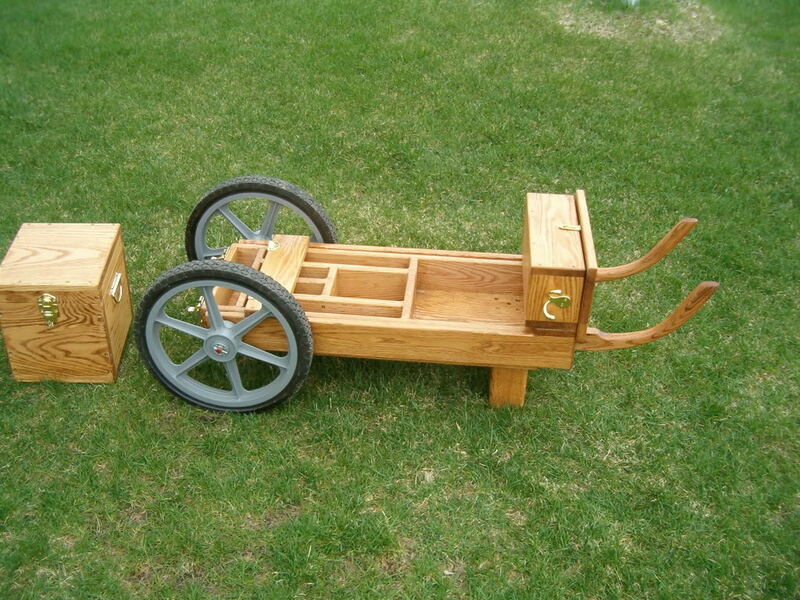 Welcome to StoneyMike's Cart Works, Purveyors of fine carriages for your firearms. 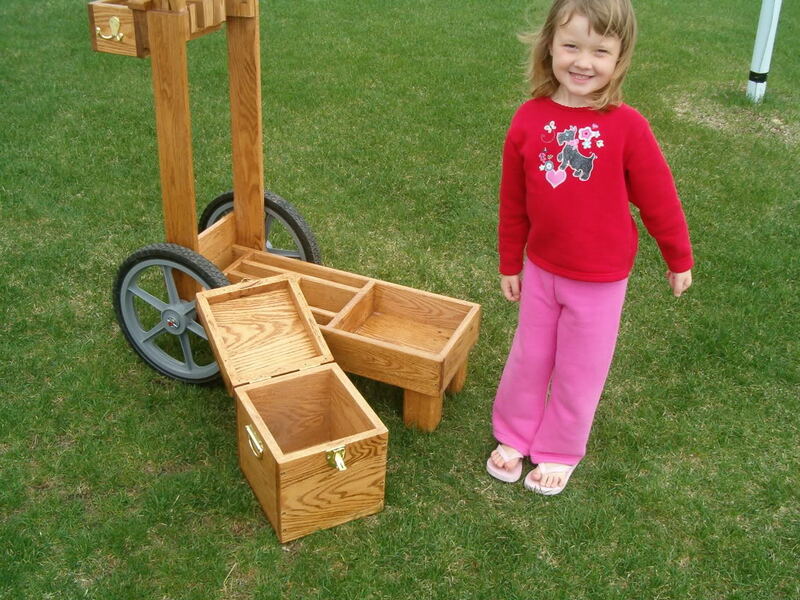 to make this a small side business, in order to provide high quality, lower cost carts, to my friends. 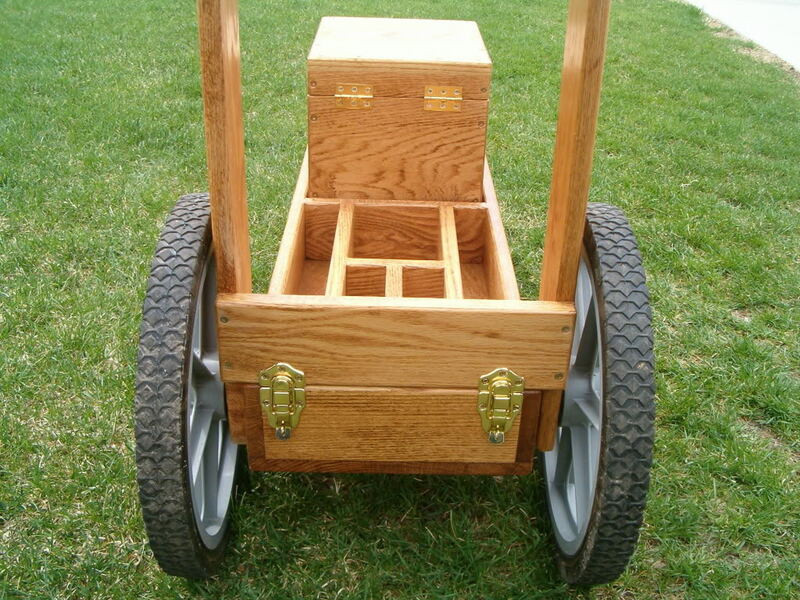 The standard cart holds 4 guns and is made of 3/4 red oak with 16 inch rear wheels. 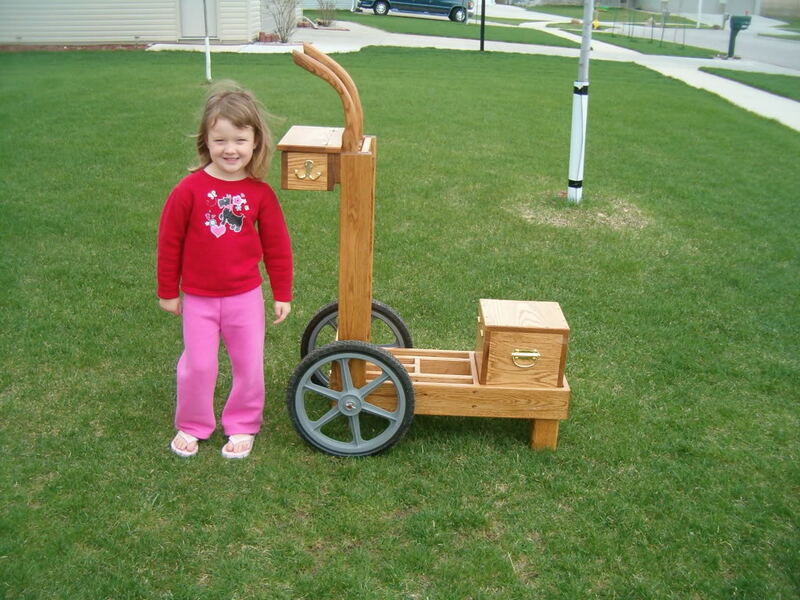 cost of the wood chosen. 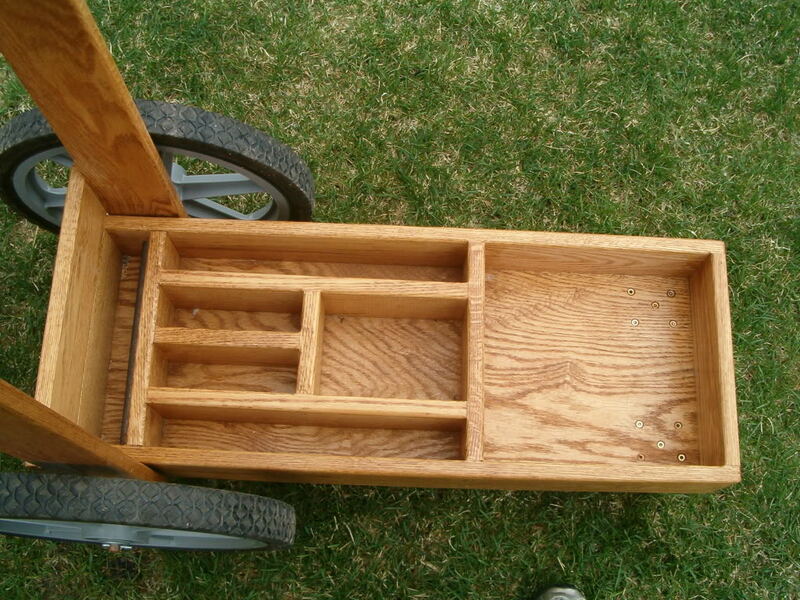 Cart is lightweight and easily carried by one person, and will fit into most car trunks. The upper barrel holders are padded with leather to protect your guns. 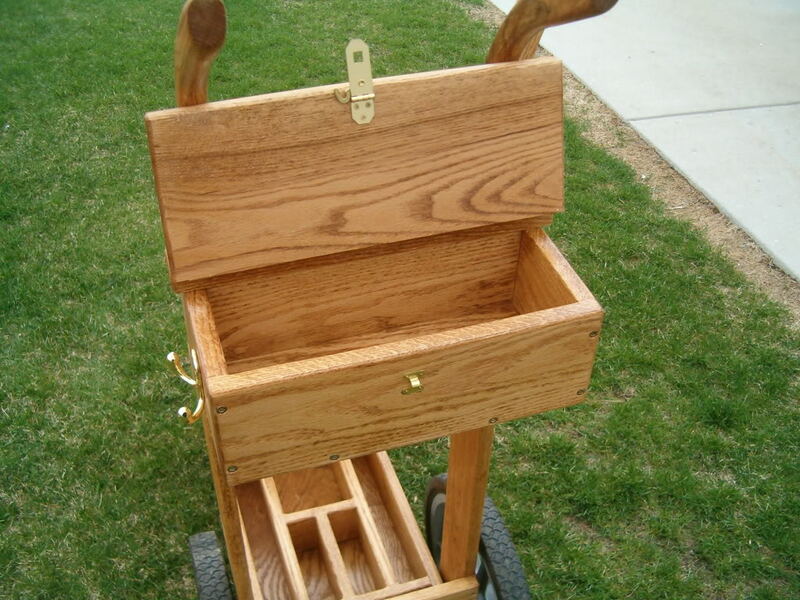 All brass hardware, with convenient side mounted hooks for hanging shell bags and the like. 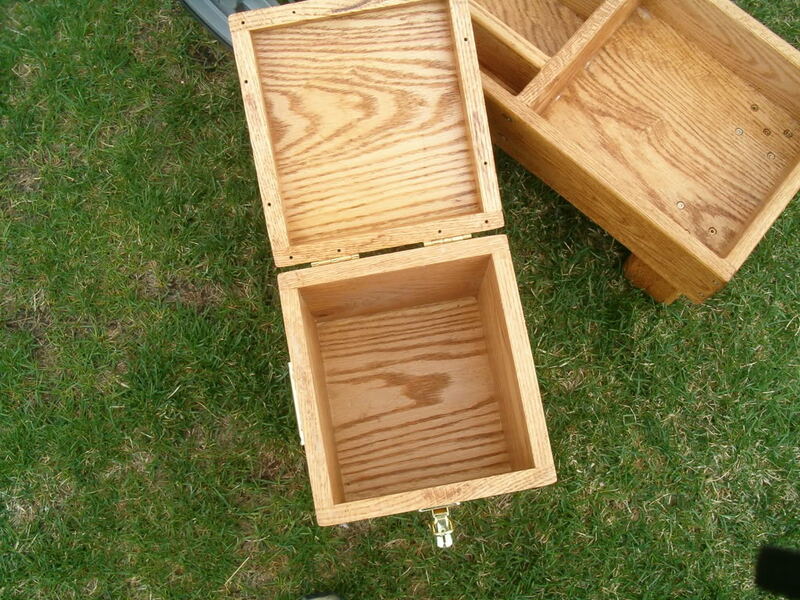 The lid for the upper tray can be customized with your alias, also at an additional cost. 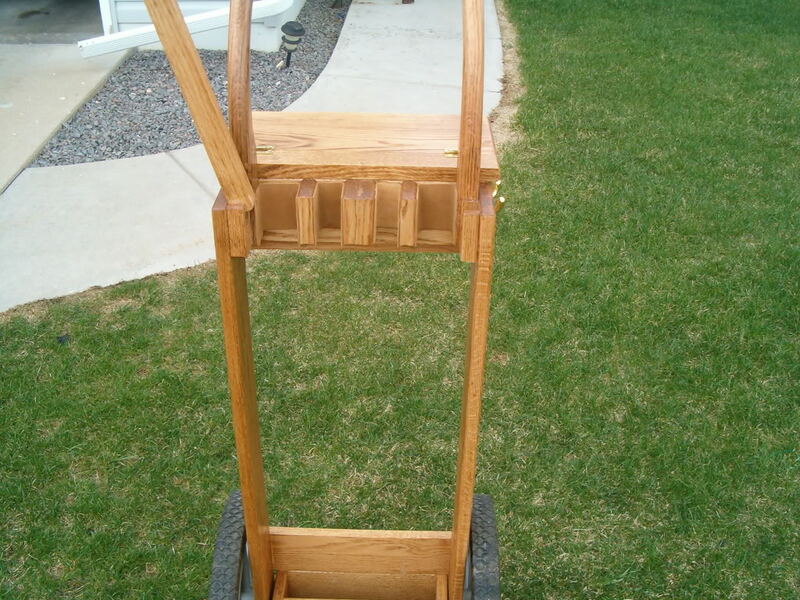 The cart comes finished with three coats of Satin urethane, but other options are available. If you have any questions please feel free to ask me anything. she just felt that any pictures being taken should include her. I agreed.